Everyone can sing better with the 1st Gamified Learn to Sing Training Program for FREE! 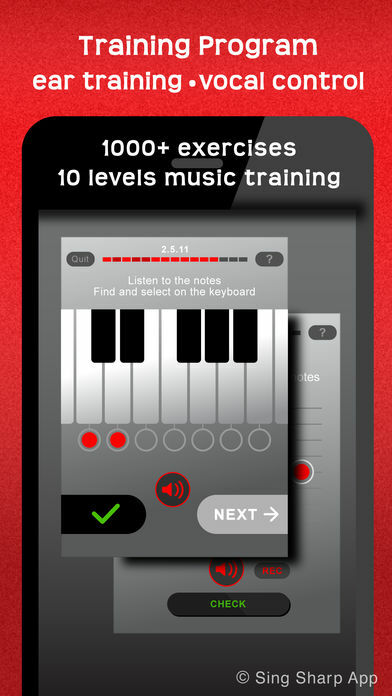 Sing Sharp helps you Learn+Practice, Train+Track, Anytime+Anywhere! 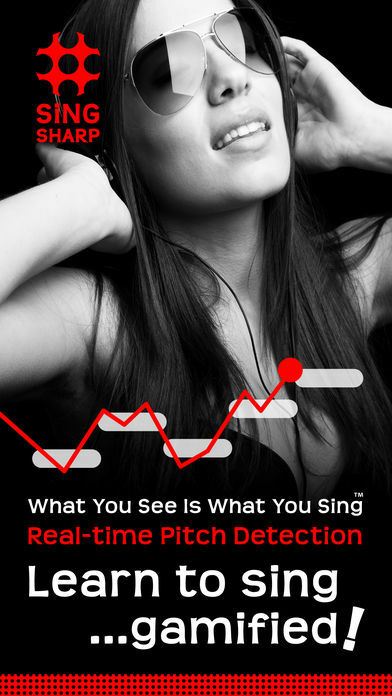 Sing Sharp's What You See Is What You Sing™ technology detects and display your singing pitch accuracy in real-time, so that you can tune and train to improve your singing. "Very Useful! I love this app I see improvements in my singing and it's only day three it help me get a better ear and also better tone this app is worth downloading"
"I'm a song writer and have been looking for ways to analyze and correct my vocal abilities, this is what I've been waiting for." "Amazing! Really Helpful!! 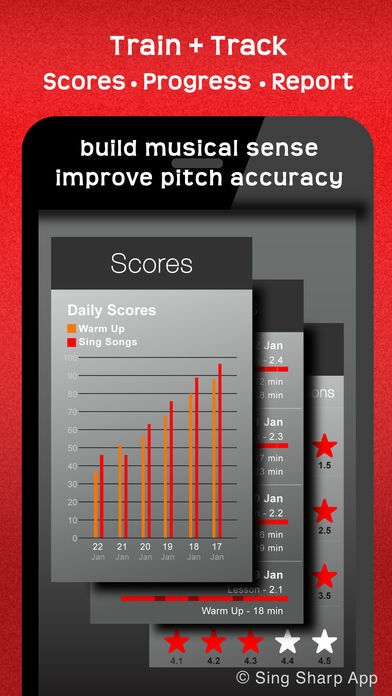 I've passed many singing classes with real masters but now I found this app very useful"
"Every time my singing teacher sees me she says i have a great voice and it's all because of this app"
"Love it, the only vocal coach I use :) "
"This is the only app that's actually designed to teach you to listen and sing"
"Pitch perfector!!! A simple way to manage your pitch. Perfect practice makes perfect, and this WILL help!" 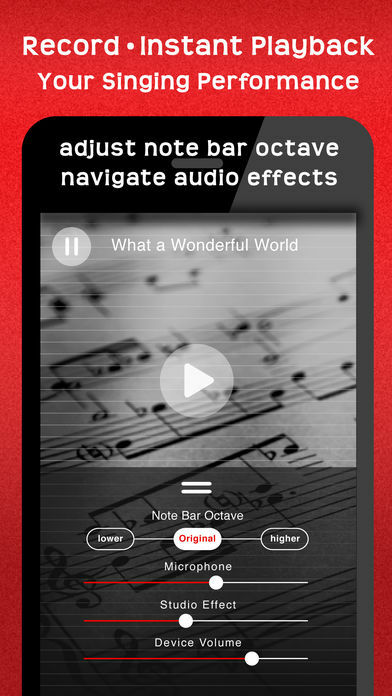 "I love this App my voice is so much better because I didn't know how many notes I was missing!!! But now I know what I'm doing is so much better!!!! You need to get this App!!!!!!!" "Ok so I didn't know how good my voice was until I tried doing this app!! I am afraid of singing in front of anyone and this app is making me more confident!!" "Love it! thank you for helping me improve my vocal range.i will definitely show this to our choir director during one of our choir practice"
"Musical Theatre - It really helps and my musical theatre teacher made the whole cast download it because it's such a great way to warm up on our own"
"INCREDIBLE!!! GET IT NOW! ... It's already helped me soooo much!" 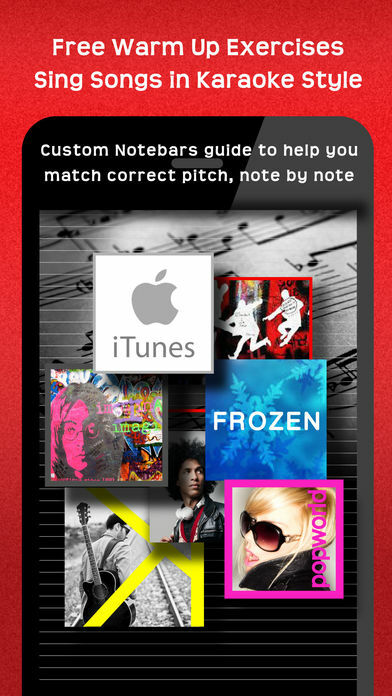 - Access to purchase additional iTunes song with "sing-chronize note bars"